1. The remote controller which is simple-looking in style makes a convenient use. 2. The control panel is equipped with LCD device. 3. 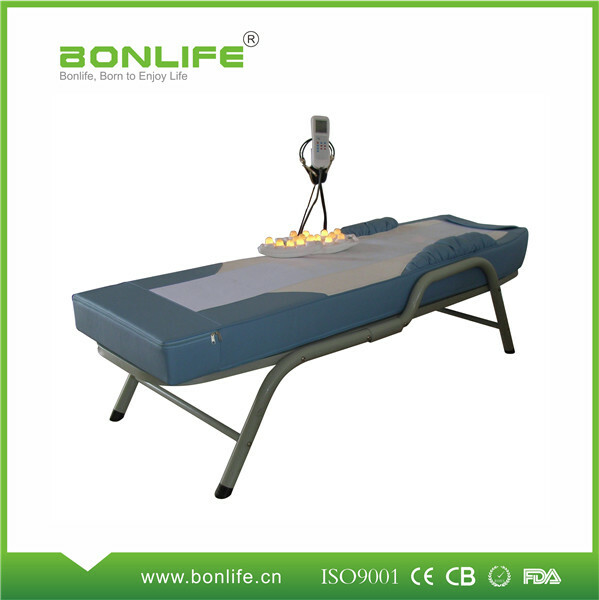 Equipped with three groups of wheels on back, and two groups of wheels on leg, this bed gives people more comfortable massage. 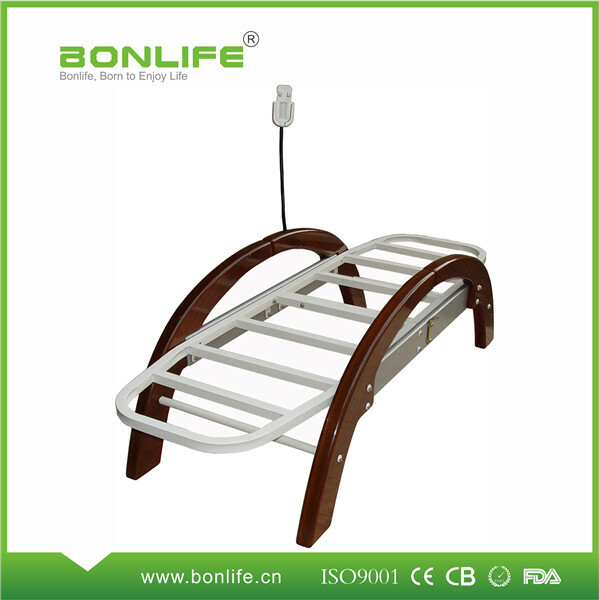 Massage mechanism conforms to body curve, giving a more humanistic massage. 4. 6 auto massage modes on the whole body, and optional manual mode can be chosen. Automatic mode 1: first circulation of massage for upper body, then 3 circulations of massage for lumber, after that 3 circulations of massage for back part, and another 3 circulations of massage for upper part, finally, 1 circulation for the whole body. Automatic mode 2: two circulation of massage for the whole body, and then several circulations of massage for the upper body. Automatic mode 3: several circulations massage for lumber. Automatic mode 4: several circulations massage for back. Automatic mode 5: several circulations massage for shoulder. Automatic mode 6: several circulations massage for neck. 5. Equipped with two jade heaters, 5 balls and 11 balls, as heat emitter. The temperature can be adjusted between 30℃-70℃. 6. Designed with carbon fabric heating. 7. Adjusting the height of the position of the feet when feet massage. 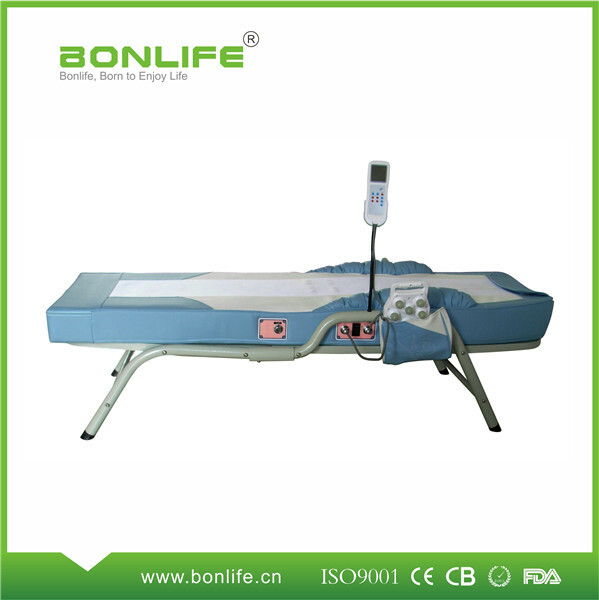 Looking for ideal Jade Thermal Therapy Massage Bed Manufacturer & supplier ? We have a wide selection at great prices to help you get creative. 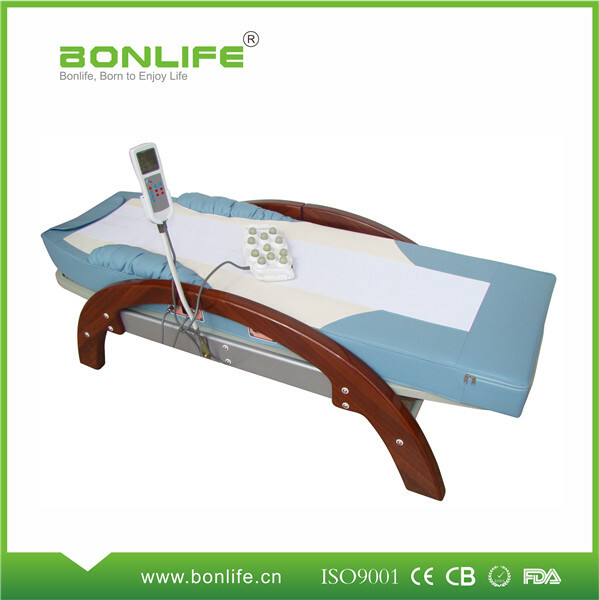 All the Korea Jade Heating Thermal Therapy Massage Table are quality guaranteed. 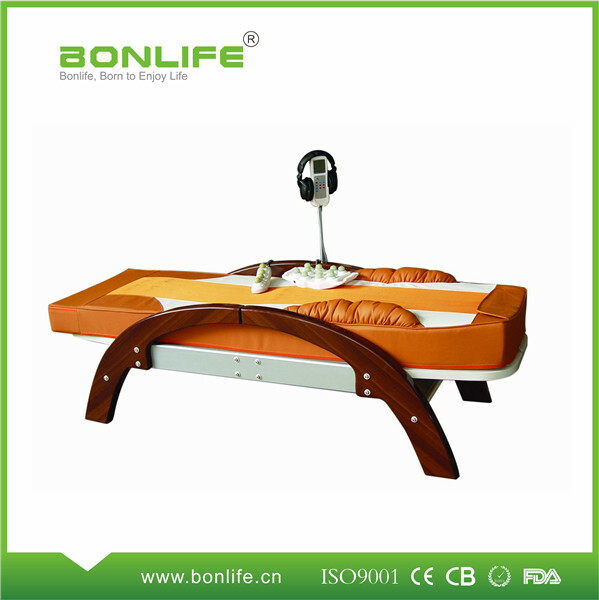 We are China Origin Factory of Korea Electric Automatically Thermal Massage Bed. If you have any question, please feel free to contact us. Copyright © 2019 Ningbo Berkeley Electronic Technology Co., Ltd. All rights reserved.